Going to College? 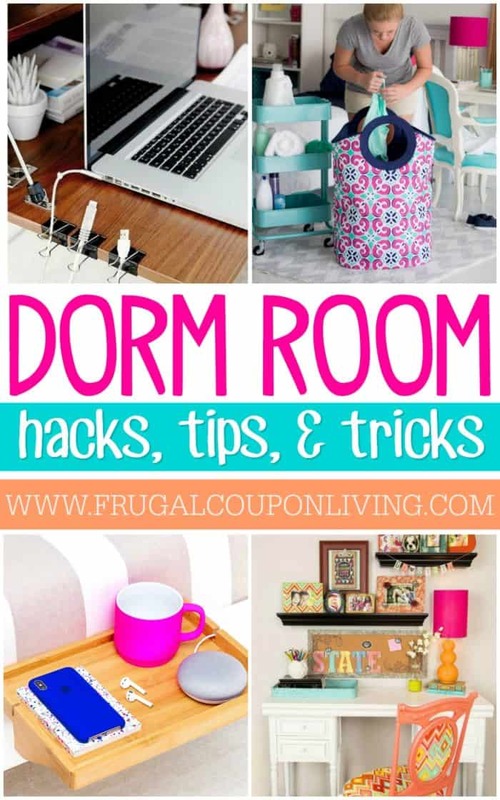 Dorm Room Hacks and Tips! What didn’t I think of that? 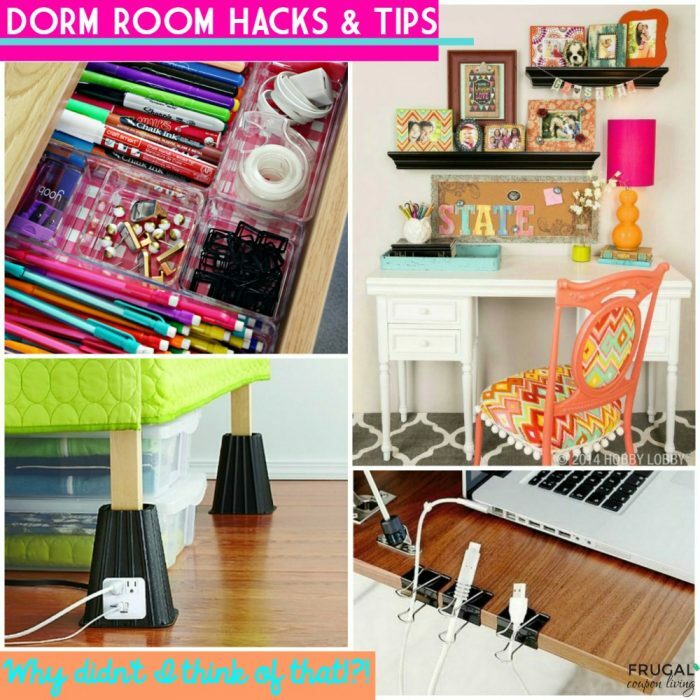 Dorm Room Hacks and College Tips. 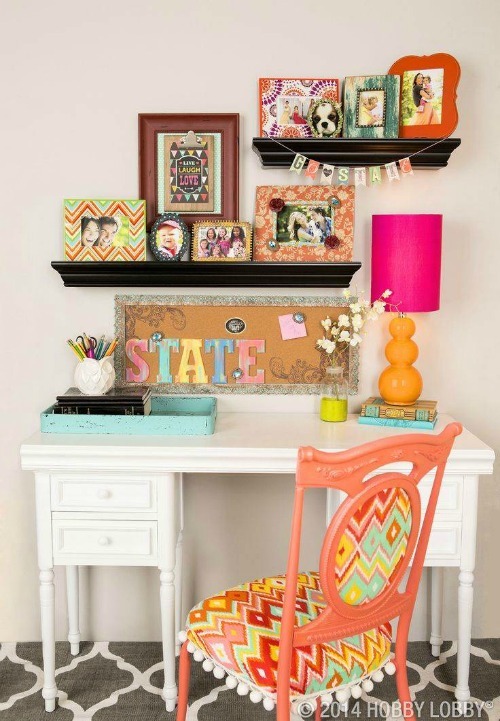 Creative dorm room decor ideas to create efficient space, loads of color, lots of fun, and a little reminder of home. 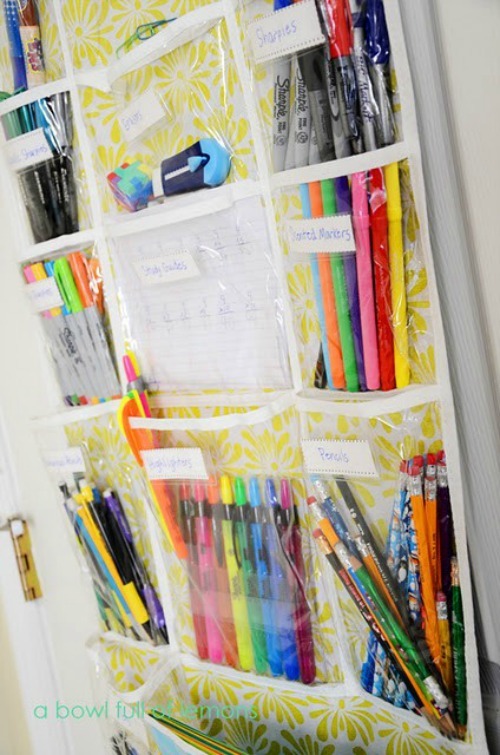 Whether you are a freshman or a rising senior, we all can use some organizational tips, especially for smaller spaces! 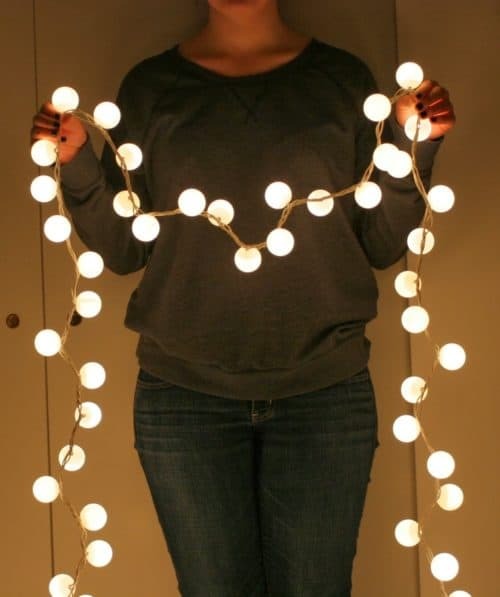 We were so inspired by these Dorm Room Hacks and Tips that we even had ideas for our own home. Get ready to stock on no Washi Tape, Duct Tape, burst of color, creativity and more! 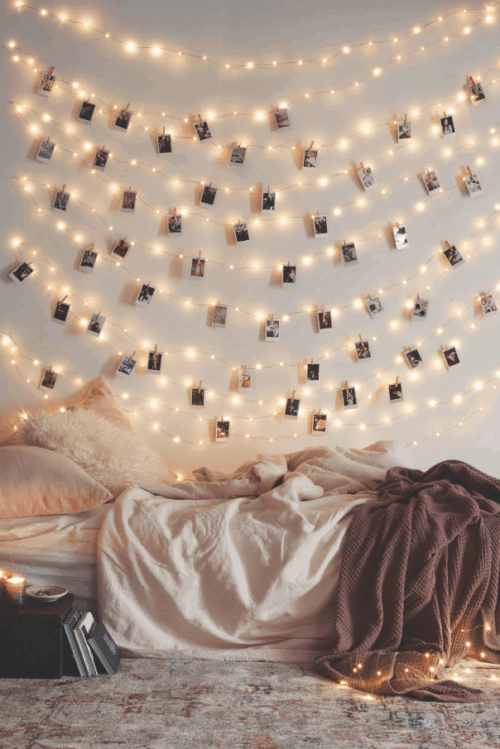 We love these Dorm Room Ideas for all ages and living situations! 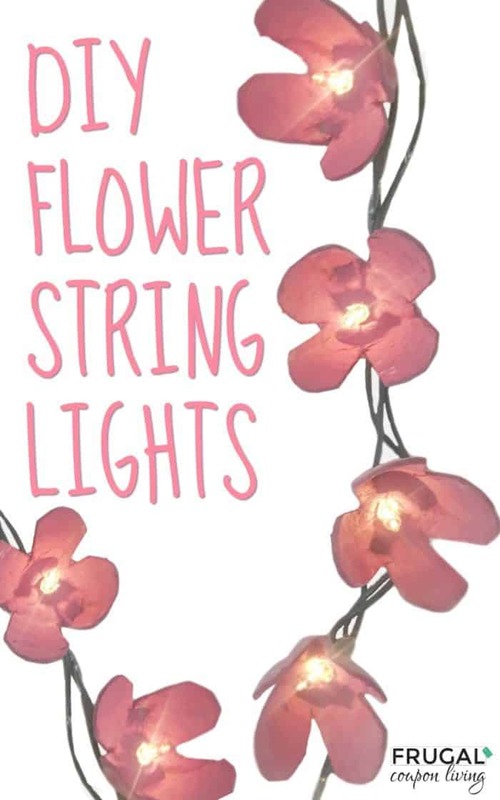 Make these cute flower string lights from an upcycled egg carton. 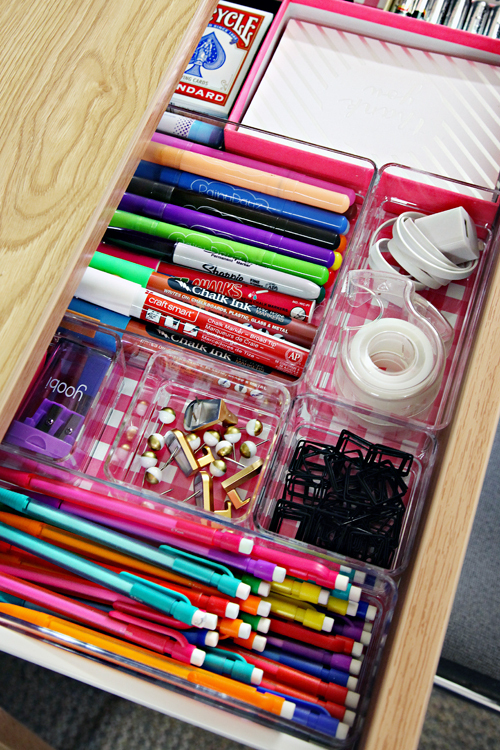 Line Your Drawers with Scrapbook Paper like I Heart Organizing. 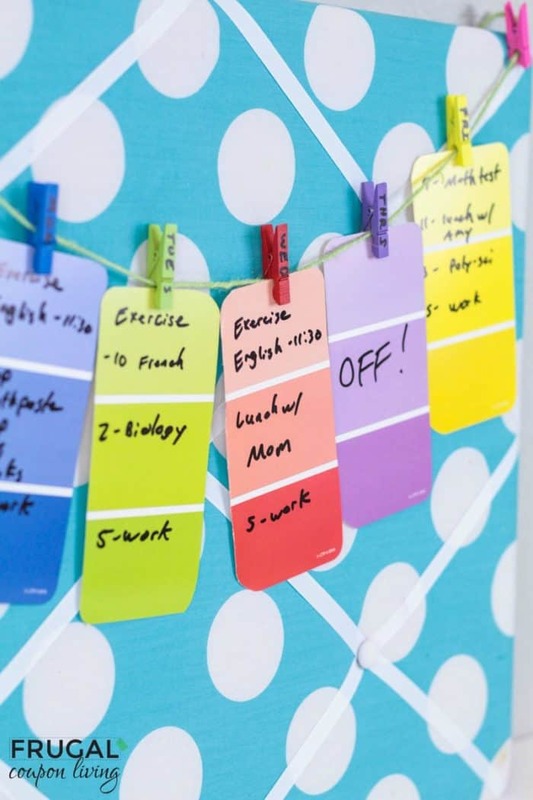 Never miss an activity with this Weekly Dorm Room Calendar – so FRUGAL to make! 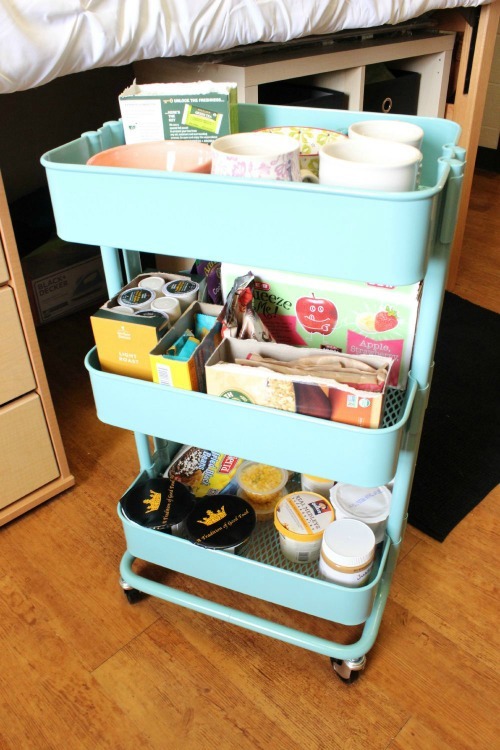 Dorm rooms don’t have kitchens, get creative with this Dorm Room Kitchen Cart from Jessica Slaughter. Get it HERE. 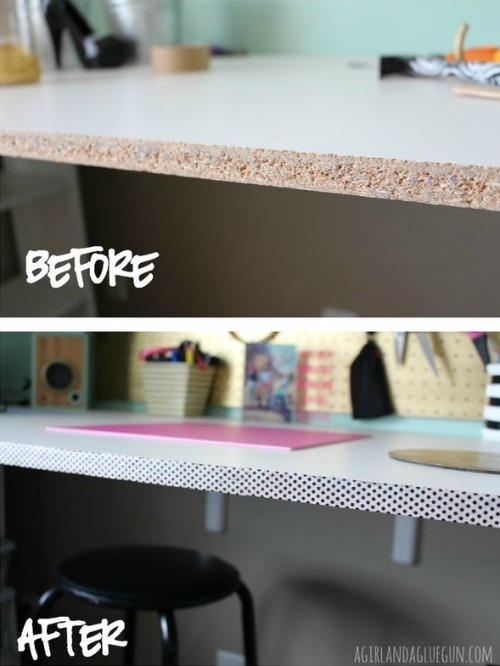 Hide the Particle Board with Washi Tape from A Girl and a Glue Gun. Do you have ugly walls you cannot paint? Hang a Tapestry Damage Free with this tip from Drea’s DIY. Beautiful Tapestries under $15 here. Tapestries are beautiful. Also consider a macrame wall art. 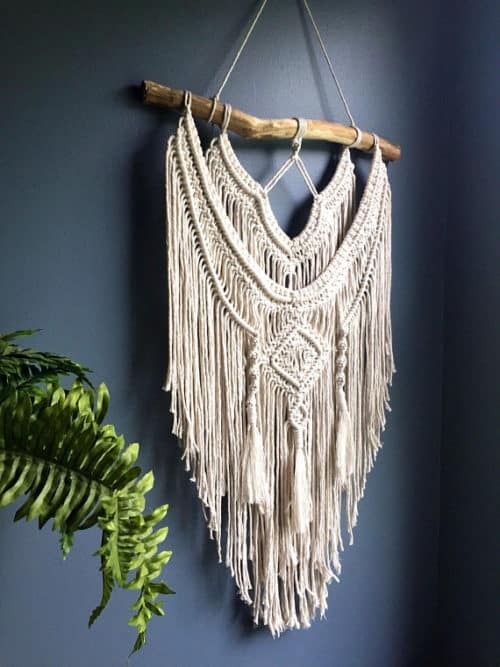 We love this boho wall decor but this macrame wall hanging might be a bit more affordable. 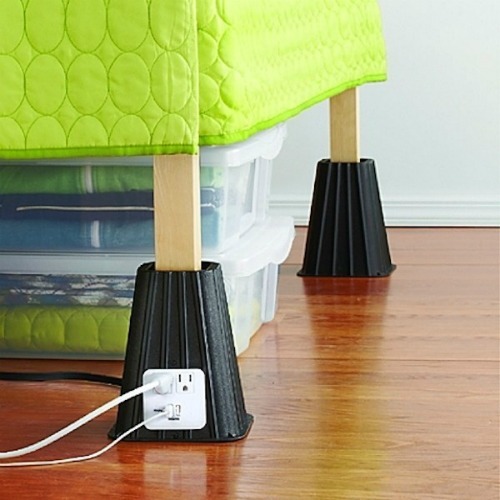 Lift the bed but also make it efficient with these USB/Power Outlets Bed Risers on Amazon. 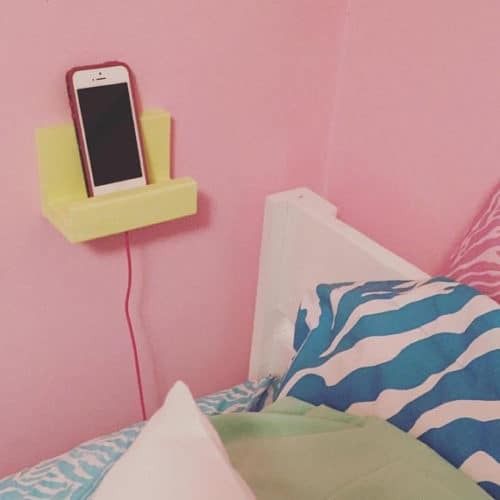 Speaking of bedding, you will want this Dorm Room Docking Station. 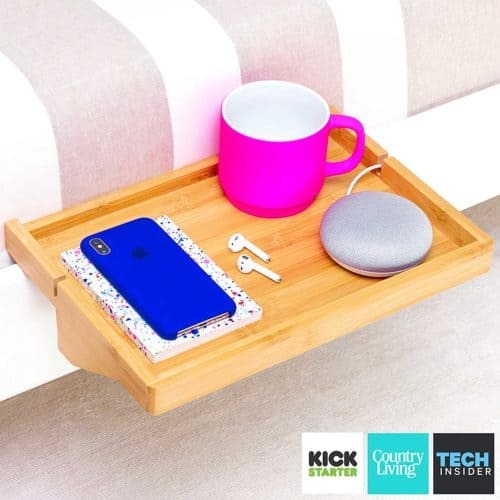 This bedside shelf will also work for staying organized. Hungry, try this dorm room hack! make grilled cheese with a clothing iron. Idea from Grilled Cheese Social. Don’t forget all of our Dorm Room Recipes and Grilled Cheese Recipes. Stay organized. 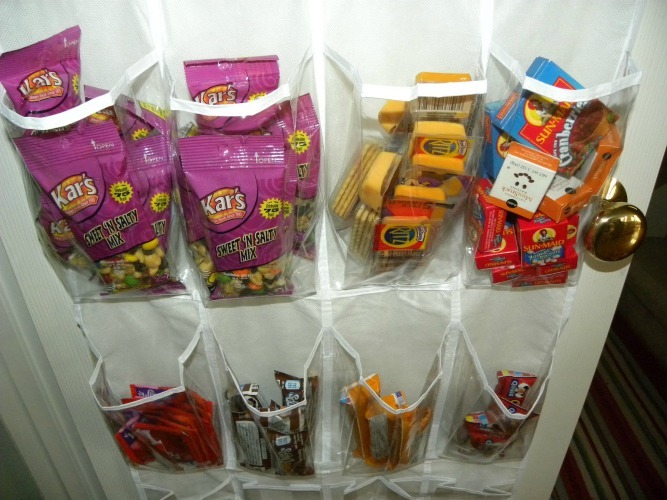 Sort Snacks with a Door Shoe Organizer on Drama Mama. Grab a Shoe Organizer HERE. Also use this organizer to Organize Your School Supplies with Door Shoe Organizer. Idea on A Bowl Full of Lemons. 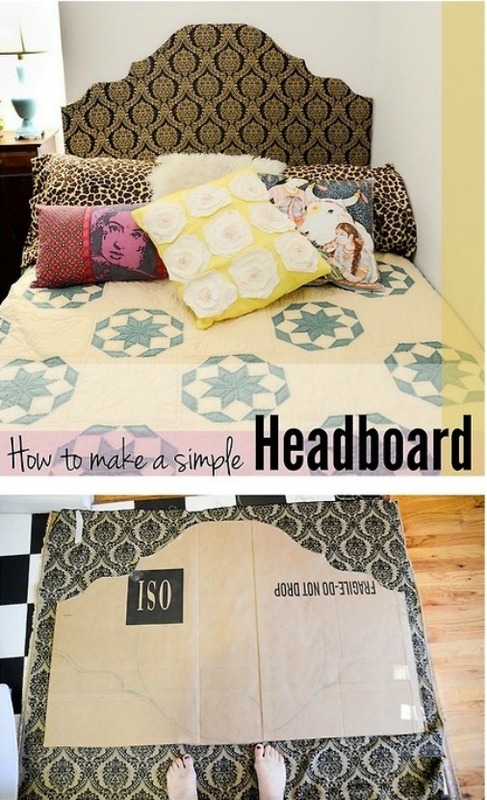 Talk about an Upcycle, Make a Headboard Out of Cardboard – You heard us right! – Idea on Stars for Street Lights. On a budget? 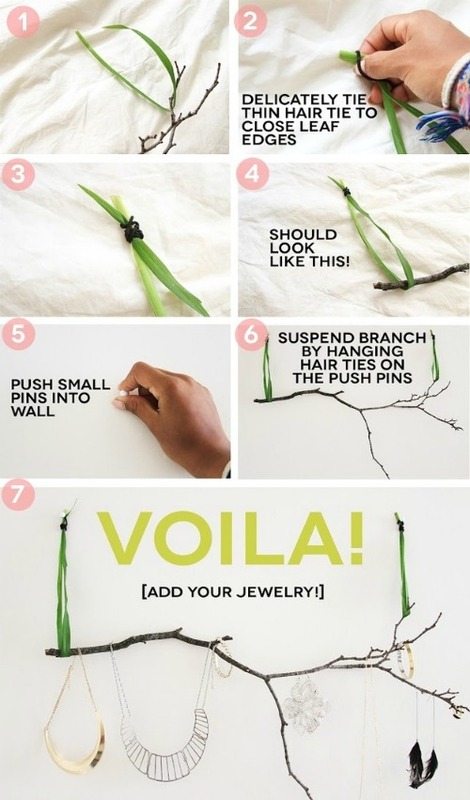 Utilize the Outdoors with this Tree Branch Jewelry Holder from I Like Fall Blog. 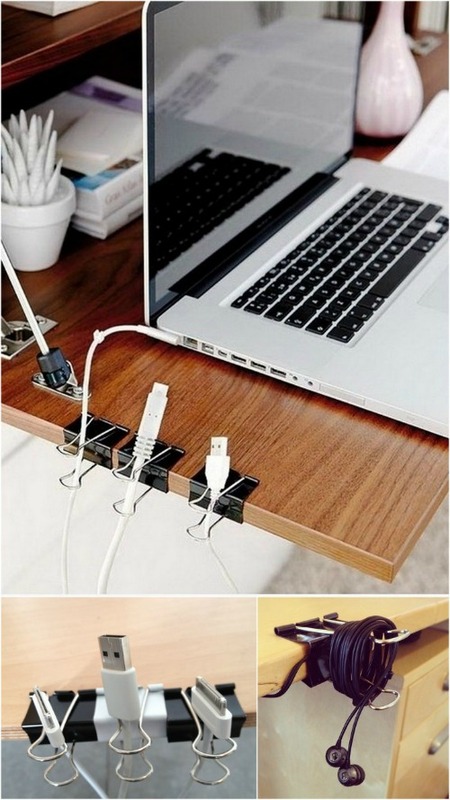 Organize a Desk and Cord Area with Binder Clips. Source Unknown. The black clips are beautiful, but this binder clip set has a beautiful pattern. 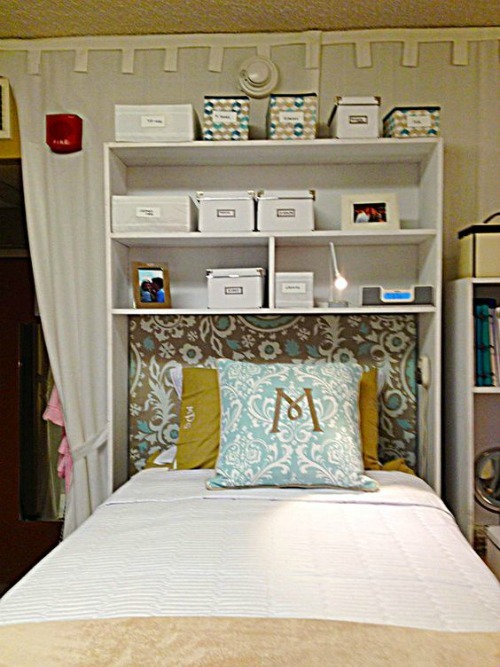 Consider skipping a headboard for a Dorm Room Headboard Shelf. Source Unknown. They actually make Headboard Shelves to buy! I would line with Removeable Wallpaper. Duct Tape and Washi Tape are your decorative friends – we love these Duct Tape Storage Ideas that look amazing from DIY Home Sweet Home – it makes them sturdy too! 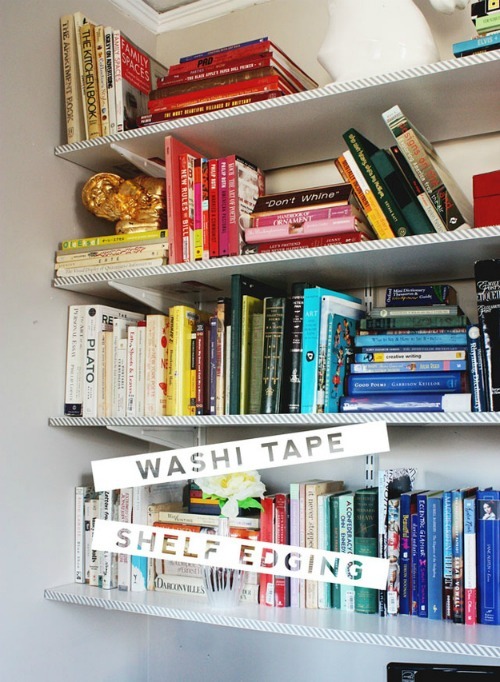 Again, back to your decorative friend – Line Your Bookshelves with Washi Tape for some dorm room fun. Idea on Aunt Peaches. How beautiful is this Floral Washi Tape? 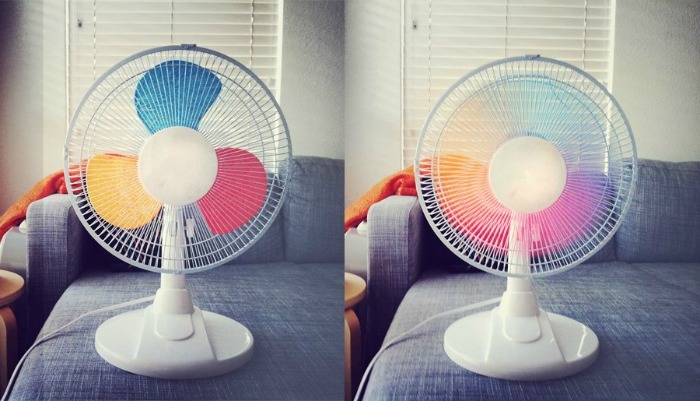 Maybe it’s silly, but if you are lacking some color or a view outside your window, bring the rainbow to you with this Dorm Room Fan idea! Source. 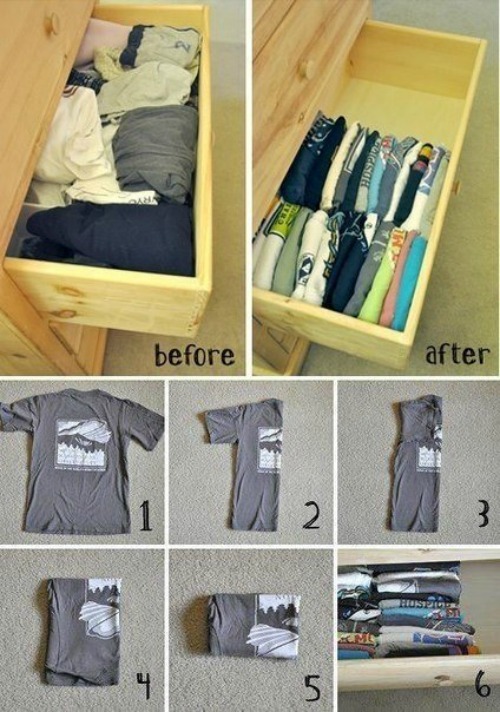 Maximize your drawer space with this T-Shirt Folding Tip. Source. Have you seen this t-shirt folding board? It is thin enough to hide behind a dresser! Speaking of clothing, display your dirties in style. 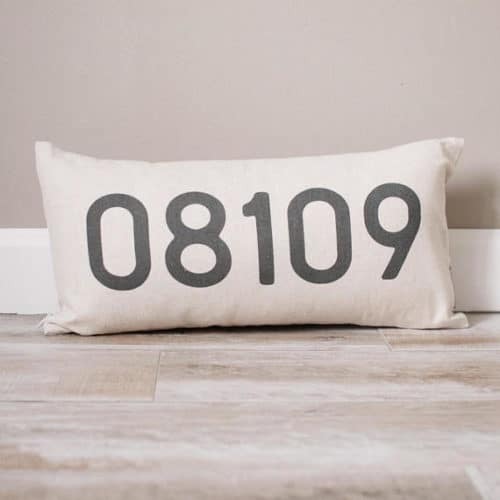 Do you love this dorm room laundry tote as much as we do? It comes with the perfect handle to carry all that laundry home to mom! 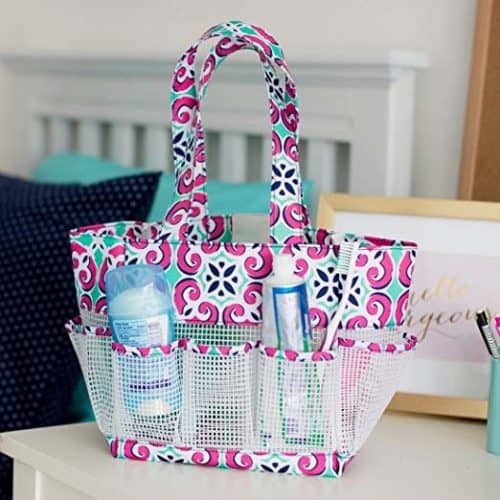 We also think this Dorm Room Show Caddy is the perfect addition! 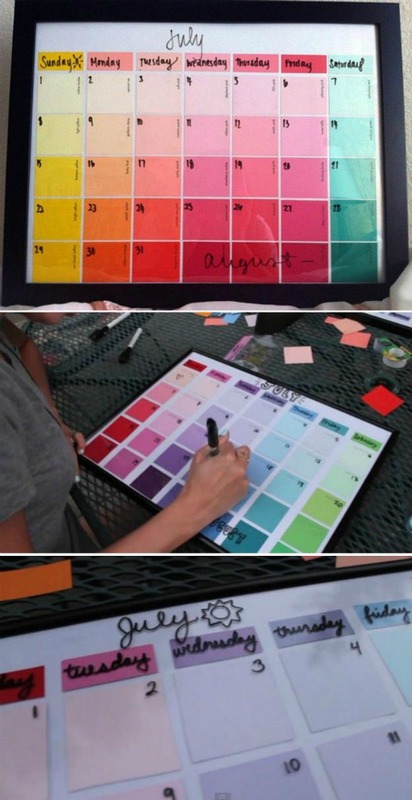 Stay organized with this DIY project – a Paint Strip Calendar from DIY Ready. Drawers and extra space are a rarity, so is dorm room decor. 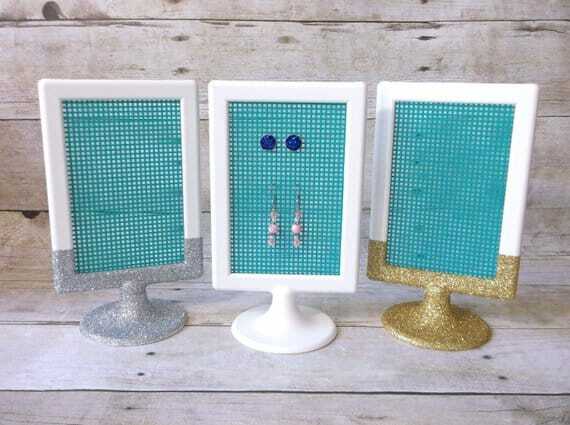 Display your earrings on this frame. Not only is it resourceful, it adds color and is cute! 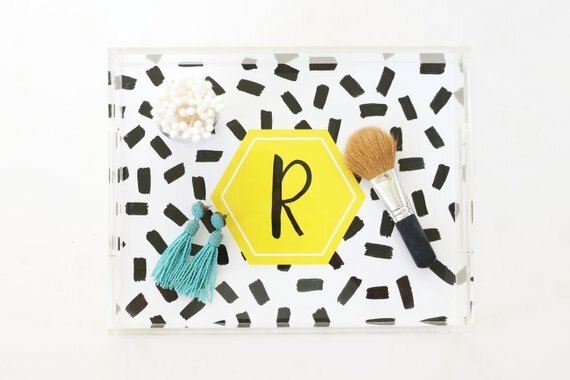 Speaking of adding color, this is a must have – a Personalized Monogram Acrylic Tray. 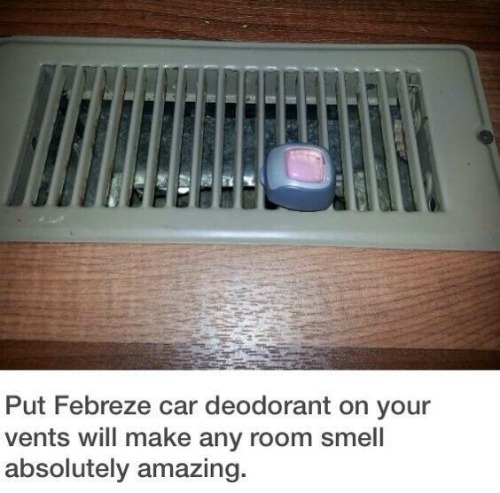 Use Febreze Car Clips and add to Air Vents to Help Freshen the Room! Source Unknown. 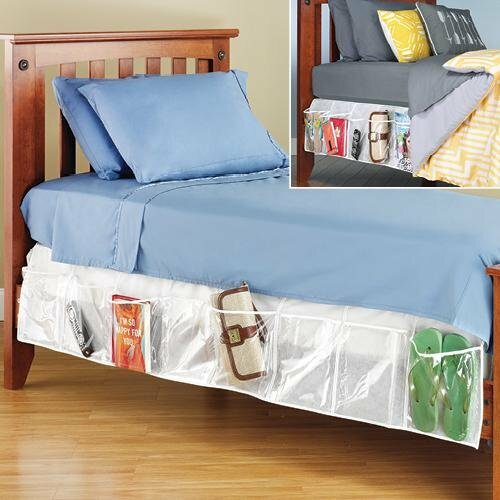 Hide accessories and shoes underneath a bedskirt with the Bedskirt Organizer. 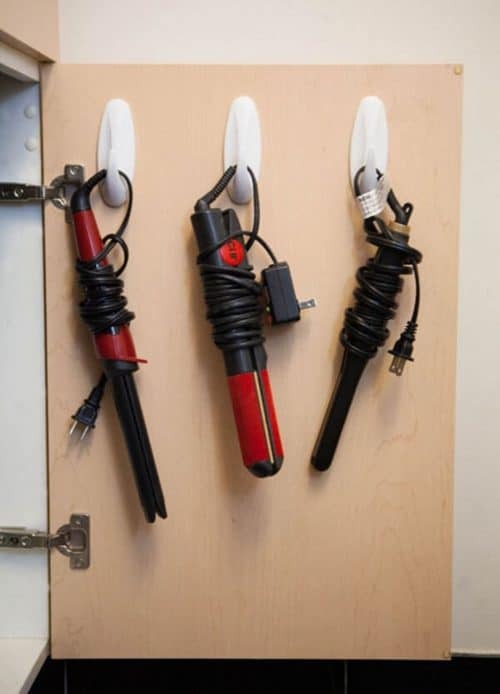 If you find yourself lucky enough to have a cabinet, use command hooks to hang your tools. | Source Unknown. No idea what to pack? Take a look at this Dorm Room College Packing List from Society 19. The best advice? 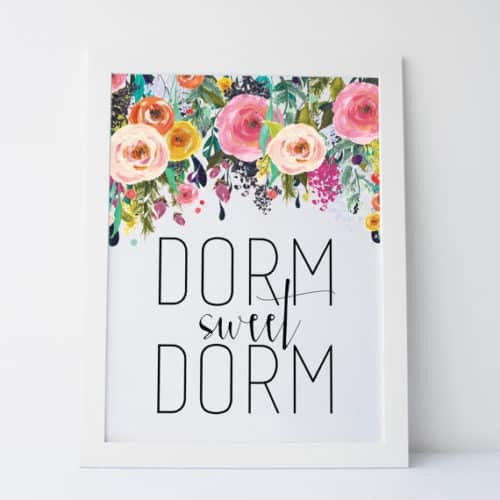 Make it a Pinterest-Worthy Dorm Room with Lots of Color! This idea from Hobby Lobby. 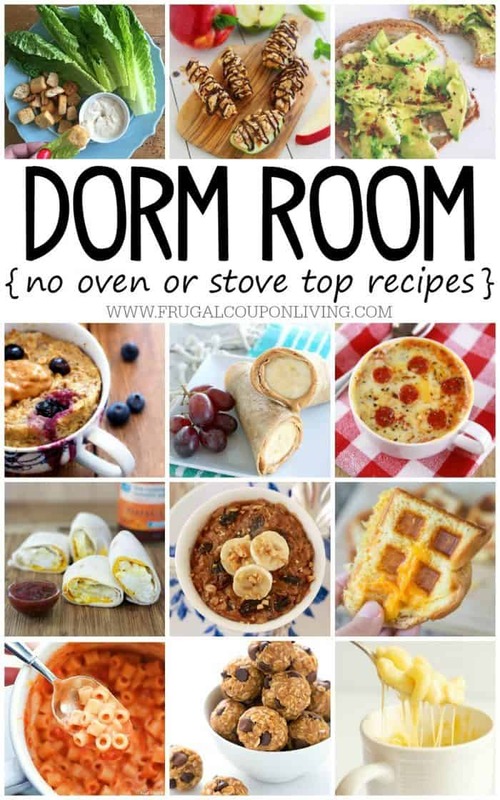 Take a look at our No Bake Dorm Room Recipes – Pin to Pinterest. Going far? 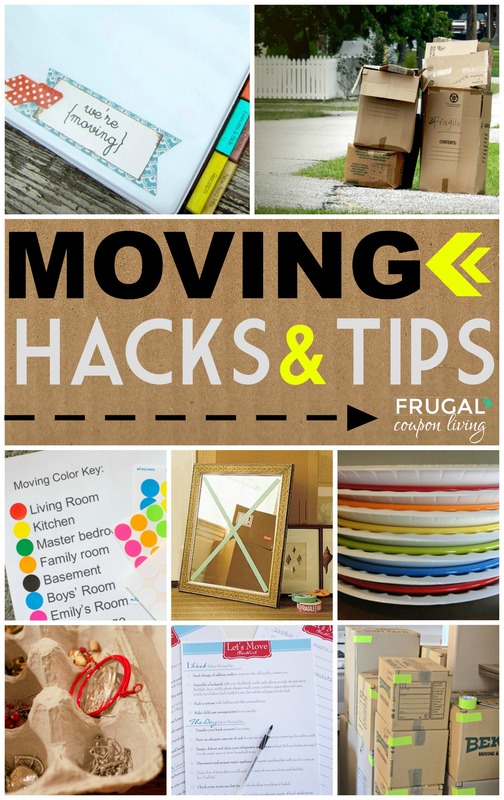 Also check out our Moving Hacks and Tips. Pin to Pinterest.